Wendy Williams is known for her sharp tongue. She does not take prisoners but sometimes she goes too far, and last week she did. These comments cost her a sponsorship with Chevorolet. Williams should have known better but she didn’t and it cost her. Ben Carson suggest putting Harriet Tubman on the $2 dollar bill…really? Sometimes I think Ben Carson just wants to make people mad. Watch the clip and share your thoughts. By musesofamom | Posted in Ebony Mom Politics | Also tagged African American, African Americans, ben Carson, Ben Carson says put harriet tubman on the $2 bill, black america, black men, Black People, Black women, cbs, CNN, Current Events, Fox News, Harriet Tubman, media | Comments Off on Ben Carson suggest putting Harriet Tubman on the $2 dollar bill…really? Why did Roland Martin offer to shine Bill O’Reilly’s shoes? By musesofamom | Posted in Ebony Mom Politics | Also tagged African American, African Americans, Bill O'Reilly, black america, black men, Black People, Black women, cbs, CNN, Current Events, Fox News, media, politics, race, racism, roland martin | Comments Off on Why did Roland Martin offer to shine Bill O’Reilly’s shoes? Should Miss America Kira Kazantsev keep her crown? Miss America Kira Kazantsev has admitted that she was kicked out of her sorority for hazing violations. This happened last year. Should she be allowed to keep her crown? Share your thoughts. By musesofamom | Posted in Uncategorized | Also tagged African American, Current Events, Democratic Party, Democrats, entertainment, Fox News, hazing, Kira Kazantsev admits hazing, Miss America, Women, working women | Comments Off on Should Miss America Kira Kazantsev keep her crown? Is Gwyneth Paltrow the most beautiful woman or is she simply in the next Iron Man movie? Over the past few days I have heard alot of Gwyneth hating. What do you think is she deserving of the title or does she simply have a good publicist? 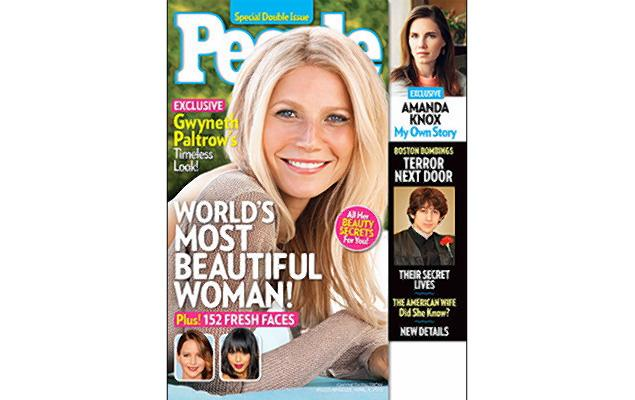 By musesofamom | Posted in Uncategorized | Also tagged Black women, cbs, CNN, Current Events, entertainment, Gwyneth Paltrow, Gwyneth Paltrow most beautiful woman, MSNBC, News, Women, working women | Comments Off on Is Gwyneth Paltrow the most beautiful woman or is she simply in the next Iron Man movie? When I first saw that Bob Johnson was discussing President Obama with Bill O’Reilly I must say I expected some Obama bashing, but I was pleasantly surprised by his comments and I must say I agree with him on some them. He points out the fact that unemployment in the black community is 14% and this country would not tolerate white unemployment at that rate. Compare that to white unemployment is 7%. Why aren’t black people calling for the presidnet’s head on a platter? They love him and they hope things will get better. O’Reilly attempted to bring the fact that there are fewer fathers in the black homes, but Johnson conceded that might be a factor, but it was not the only factor. Johnson made a number of other points worthy of discussion. Watch the clip and share your thoughts. Bill O’Reilly is accusing the US Press of making more out of the News Corp story than they should. He says at this point the story is about the News of the World newspaper in London and there has been no real linkage to the story in the United States. His guest likened the US coverage to a witchhunt. We know that Rupert Murdoch owns Fox News so Bill O’Reilly’s false indignation is no surprise, but my question is does he have a point? Has this story gotten more coverage than the facts warrant? Tell me what you think. Today I went out and voted. I am a firm believer that if you do not vote you do not have the right to complain. Voting gives you the opportunity to make your voice heard. Your candidate might not win but at least if you vote you have done all you could. As a black woman I am also sensitive to the fact that many people laid down their lives so that we could freely go to the polls and vote. So if your state has a primary today and you are registered go out and make a difference. If you live in Washington DC you can register and cast a vote today. Get out and vote! By musesofamom | Posted in Ebony Mom Politics | Also tagged African American, African Americans, Barack Obama, black men, Black People, Black women, CNN, Current Events, Democratic Party, Fox News, gop, media, Michael Steele, Morning Joe, MSNBC, nbc, News, politics, President Barack Obama, President Obama, Republicans, steve harvey, Tom Joyner, Tom Joyner Morning Show | Comments Off on I Voted Today! Harry Reid Ad…Hard hitting or below the belt? The problem with elections is campaigning. Nothing is off limits. This is a Harry Reid ad. The ad points out that his opponent voted against enforcing a restraining order issued from another state when she was in the state legislature. So does this mean that Sharron Angle sides with abusers? “The charges in the most recent spot stem from a vote Angle cast in 2001 against AB581, a bill that required Nevada courts to enforce protection orders dealing with domestic violence offenders from out of state. Angle was one of nine assembly members to oppose the measure (which passed by a 31-9 vote). Her campaign has insisted that she agreed with the spirit of the law but had “concerns with the execution.”* Could she have really had genuine concerns about enforcement or should we really believe she sides with the abuser? I believe Angle is extreme on a number of social issues, but to say she sides with the abuser to me is below the belt. Tell me what you think.